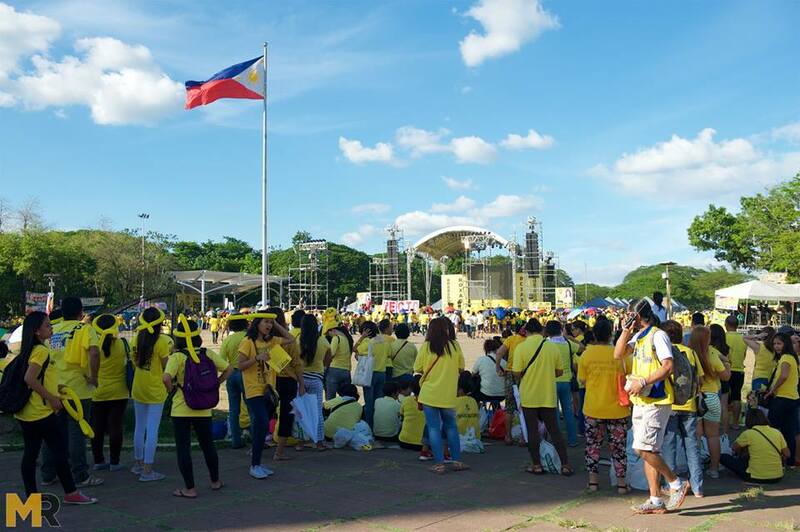 MANILA, Philippines - The final rally or or miting de avance of Liberal Party and administration standard bearer Mar Roxas is happening today, May 7, at the Quezon Memorial Circle. 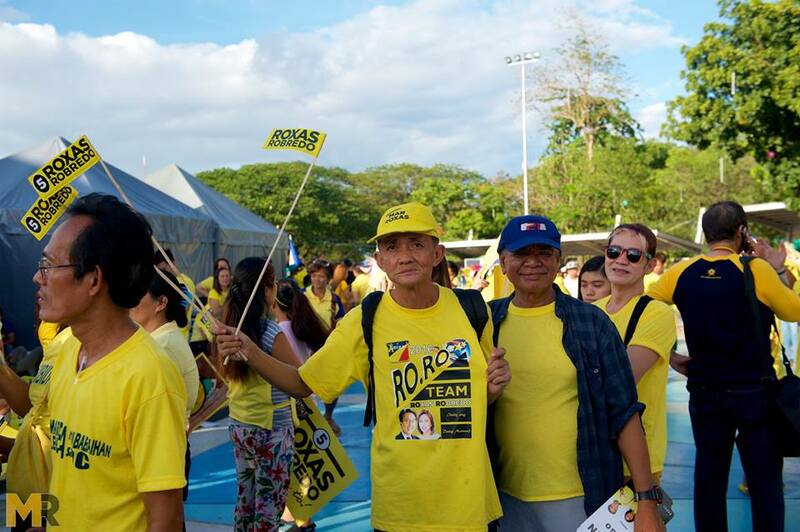 Thousands of supporters flock to express support to Roxas camp including vice presidential bet Leni Robredo in the rally to cap off 90-day campaign period before the general elections on Monday, May 9. Administration candidate Mar Roxas shocked supporters on Friday when he called for "unity" with Sen. Grace Poe, with whom he was statistically tied in the recent surveys. Though Poe said she would not drop her candidacy for Roxas but was open to a meeting. President Benigno Aquino claimed that Duterte had the makings of a dictator. In order to beat the mayor's 33% score in SWS polls, unity of Poe (with 22%) and Roxas (20%) camp is crucial. “The whole point is to get even two of them unite... then we have more than 40 percent,” Aquino said in an interview of ABS-CBN.